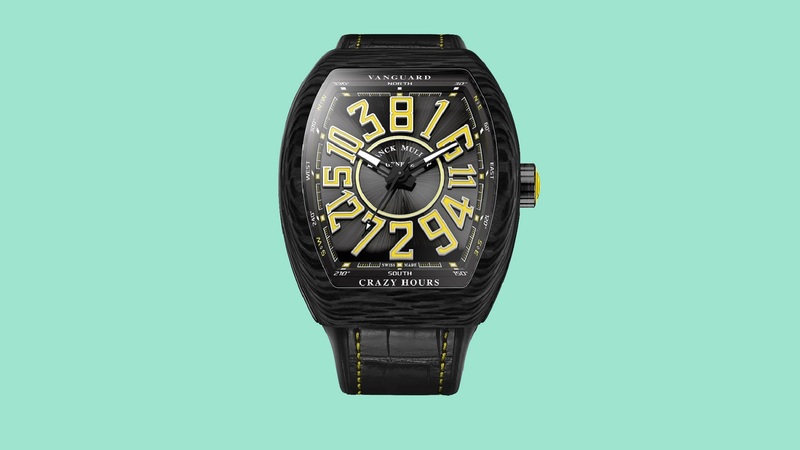 This majestic black-and-yellow looker is wrought from lightweight black carbon. Fans of Crazy Hours (so named for the haphazard, jumbled sequence of hour indices) will find the angular and seriffed numerals a refreshing take on the customarily cursive style. The sporty colour scheme and college-style font make this the most rugged-looking piece we’ve seen out of Franck Muller in a bit. We’re taken. Continuing its partnership with legendary automakers Lamborghini, this masculine ticker boasts harsh angles and striking shades of grey and titanium for a rough-and-tumble aesthetic. It’s named for its motoring counterpart, which itself is a handsome beast likewise celebrated for aggressive styling cues. The largest of the dials on our list (it’s the good old 45mm), it’s made for adrenaline junkies who are likely to take its 60-hour power reserve to the max. Caveat – limited to 88 pieces. These handsome, oblong lookers reprise the iconic tonneau shape and come in 100-piece runs. Somewhat of a departure from the jeweller’s conservative creations, these openworked marvels sport twin crowns so you can put the watches’ sole complication – the dual time displays – to use. A remarkable 12mm thickness helps it sit snugly on the wrist. Both utilise the in-house 9919 MC caliber. Pink and rose gold make a return to the dress watch this year (did it ever go out of style?) This time, Piaget’s mixing it up with conservative but hauntingly beautiful meteorite dials, which means that no two faces are the same. Being one of the cleaner pieces on this list, it’s a shoo-in for formal dressing, and is in line with the trend of slimmer dials for those with more slender wrists. This one’s a neutral 40mm and is limited to 300 pieces. If you’re new to independent watchmakers HYT, the one thing you need to know is that they specialise in manufacturing the wackiest liquid-based complication pieces that are half fanastical contraption, half watch. You tell time on the watch by the liquid in the tube. Guilloched dials and gray rubber bring it back to earth a little, but make no mistake – no one’s going to miss the pronounced specimen sitting on your wrist.